Try this special fried chicken recipe packed with rich flavors from ginger and garlic. Scald chicken pieces in a pot of boiling water for 4-5 minutes. Remove and set aside. 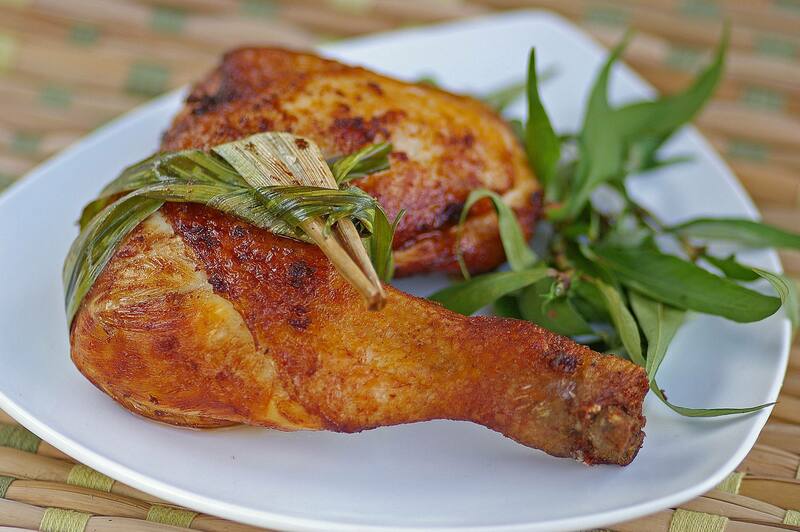 Rub chicken with marinade ingredients and tie a piece of screwpine leaf across. Leave aside for 20 minutes. Heat enough oil in a wok. Deep-fry chicken in medium low heat for 7-8 minutes. Increase the heat and fry chicken again until golden brown and crispy outside. Combine chillies, ginger and garlic in a food processor. Blend to a fine paste. Adjust with lime juice, vinegar, sugar and salt to taste.